NL RUNNING: NLRunning Is 12 Years Old! NLRunning Is 12 Years Old! NLRunning has been a platform for the running and multisport community in Newfoundland and Labrador for 12 years! 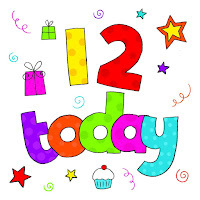 Here's to another 12, and keep the content coming! If you have anything you'd like to share with the community simply email admin@nlrunning.com or reach out through Facebook, Twitter or Instagram.